A customer might be turned down for their financing. A customer may want pink leather seats, and you don’t have pink leather seats. Or maybe the car salesperson looks like some customer’s Uncle Phil, and that customer doesn’t like Uncle Phil, and so the customer leaves and goes somewhere else. Those types of things are generally out of a car dealership’s control – but you can control how the car dealership looks. 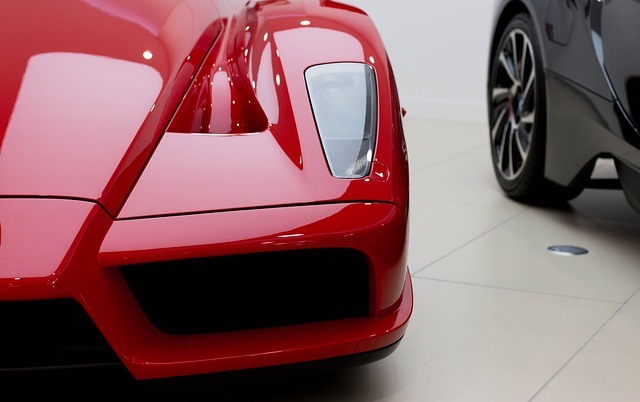 You want a dealership to shine, so the cars can shine. You want your customers to focus on the car – not some cobweb in the corner of the lobby or mud-streaked floors. So, yes, not to, um, drive the point home, but car dealerships need to look professional and be clean. Otherwise, your customers may fear they’re about to be taken for a ride, and then you would be in wheel trouble. (OK – we’ll stop with the puns!). But there’s another reason a clean business can help a car dealership, according to Chris Williams, who has the official title of Accounts Payable Clerk at Southpoint Dodge in Austin, Texas. Williams told us that ever since Stratus Building Solutions started cleaning Southpoint Dodge on the fateful day of May 11, 2017, Southpoint Dodge’s employee satisfaction has gone way up. Which, by the way, increases our own satisfaction. We spoke to Williams, and, boy, did she make our day. And luckily, Williams said we could report on that conversation. So here’s a quick snippet from our talk. Stratus Building Solutions (SBS): So how did you first hear about Stratus? Chris Williams (CW): You were doing service at a sister store, at a time we were dissatisfied with our previous cleaning service, and our sister store recommended them. SBS: What set Stratus apart when you were choosing a cleaning company? CW: They have good attention to detail, good supervisors and are easy to communicate with. SBS: Why do you like working with Stratus? CW: The ease of use. SBS: What are the biggest benefits you’ve seen? CW: It has definitely helped our customers feel satisfied and helped boost employee morale. In the past, with the other company we had before Stratus, there was some dissatisfaction with lack of toilet paper and paper towels. Those little problems led to employee complaints that have since disappeared. That’s really nice. Stratus: Would you recommend Stratus to other businesses? And, no, we didn’t pay Williams to say that. Not that every single cleaning has been perfect. Of course, we always do our best, but to err is to be human. Williams says that there have been a couple occasions when something wasn’t quite done exactly the way the dealership wanted, and she let her contact at Stratus know, and the next day, it was fixed without any hassle or headaches. She said she appreciates that Stratus Building Solutions has always been willing to make things right very quickly. In other words, just as Southpoint Dodge undoubtedly tries to always offer incredible service to their customers, Stratus tries to do the same with ours! If you’d like to learn more about what we do for car dealerships, give us a call at 888-981-1555 or check out https://www.stratusbuildingsolutions.com/car-dealerships.